Over 20,000 young people, in 23 dioceses throughout Ireland and the UK have successfully completed the Pope John Paul II Award. For many years now, the has been a recurring question in our parishes of how to find ways and means to adequately meet the needs of our young people to be actively involved in the life of the Church at every level: in their personal faith; their relationships with and within their parish community; and recognising their being part of the universal Church. The Pope John Paul II Award was created as a practical, immediate and hands-on response to this need. 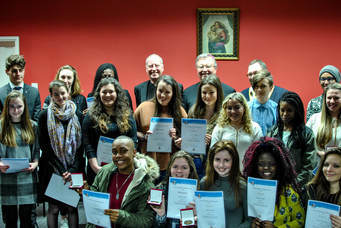 Originating in the Diocese of Derry, Ireland, currently over 20,000 young people, in 23 diocese throughout Ireland and the UK have successfully completed the Pope John Paul II Award. We often give in to the notion that prayer or matters of morality outside the church building are somehow for older people only and inappropriate for youth. This is to do young people a serious injustice. It is to encourage them to keep their light hidden, to keep their deepest hopes and aspirations under wraps. Young people need to bring their good will for Christ and His message to the surface, to talk about it more, to grow in being self-critical, to give good example in front of others. The second quality our young people need is to develop the skills of Christian leadership. Leadership in today’s world is about bringing people with us, through discussion and communication generally. It is about sharing our vision with others in such a way as to persuade them. It is about knowing our peers through working with them and discovering their strengths and weaknesses. It is about leaving nobody out, about seeking and accepting help from whatever source, provided we know what we want. There is a world out there waiting to be changed for the better. We are proud to have been the first diocese outside Ireland to offer the Pope John Paul II Award to our young people and look forward to meeting, working with them - who inspired by Pope John Paul II, answer the call of their baptism to be a part of the Church of today and tomorrow. 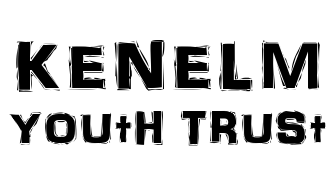 To talk to someone about running the Award in your school or parish please contact your local BCYS Development Worker. The Pope John Paul II Award was created to commemorate the late Pope John Paul II who was so committed to young people and who had such belief and confidence in them. The Award was launched by the Papal Nuncio to Ireland, His Excellency Most Rev Dr Giuseppe Lazzarotto on 7th November 2006 in the Diocese of Derry, Ireland. The Award enables participants to take an active part in the life of their Church – in the life of their community and society. It also enables young people become more aware of the teaching and role of the Catholic Church in the world and to engage at a deep level with Christ. The Award is committed to helping young people enhance their spiritual, physical, emotional and social development through participation in school, parish and community activities. As well as the feeling of personal achievement that a participant will gain from taking part in the Award, participation will help to show future employers and educators that an Award participant demonstrates they can make an ongoing commitment to a task and goal. The Pope John Paul II Award is for young people over the age of 16 (post GCSE). It is non-competitive, inclusive, flexible and voluntary. The Award enables participants to take an active part in the life of their Church - in the life of their community and society. It also enables young people become more aware of the teaching and role of the Catholic Church in the world and to engage at a deep level with Christ. The Award is committed to helping young people enhance their spiritual, physical, emotional and social development through participation in school, parish and community activities. Each Award is completed over a 16 month period beginning at the start of the academic year. Awards are earned by taking part in parish and social activities. The Papal Cross Award can only be achieved by those who have received the Gold Award. When the participant completes the Parish Involvement and the Social Awareness sections of the Award he/she prepares a presentation. This presentation may be written (approx 1500 words) or through an interview (interview conducted by the Award leader, recorded, then transcribed). • An answer to the question – What does it mean to be a baptised member of the Church? Through the Presentation, the participant will show a knowledge and understanding of what they did within the context of the Church. Their role within the Church will become more apparent. Participants can earn their Award by taking an active role in their parish. When we are baptised we become members of the Body of Christ. This means that we are called to be the presence of Christ in the world. As the Body of Christ, we belong to the community of the Church. We live out this belonging in our parish. For the Church, for the Body of Christ to be fully alive everybody needs to be actively involved. There are many things we can do in our parish. There may be other activities that you are involved in that are not included here but may be relevant, if so please contact the Pope John Paul II Award Committee for approval. Participants can earn their Award through involvement in activities which build social awareness. As members of the Body of Christ, through baptism, we make Christ present by the way we treat others. Our faith is lived out most fully in our actions, that is why it is important to be aware of the needs of others and to minister to their needs. That is why ‘Social Awareness’ is such an important aspect of this Award. Award Top-Ups are given in recognition of the extra activities that young people are already involved in. Top-Ups will go towards the total number of hours an individual has to complete. Top-Ups can be achieved in a number of ways, for example – helping with the sick pilgrims at Lourdes or working on behalf of Children in Crossfire. These type of activities will gain Papal Cross Award participants Top-Ups of 7.5 hours. There may be other activities that you are involved in that are not included here but may be relevant, if so please contact the Pope John Paul II Award Committee for approval. Participating Diocese may also have suggestions. Who is the Papal Cross Award for? Young people who have completed and received the Gold Award. On completion of the 26 hours in the parish involvement and social awareness strands, the young person completes a project. The nature of the project will be decided in consultation with the student, their school and the catechetical centre. The project will require a commitment level of 10-20 hours depending on the chosen activities. Through the project the young person will demonstrate on-going commitment to faith and good works. • Personal Skills Tasks – Art, Computer, Public Speaking, Music, Drama. Examples could be designing activities and ideas for group work at retreats, designing/making banners. Graphic design for a newsletter. Making a PowerPoint presentation or designing posters for Diocesan Events. Working with Diocesan Initiatives such as the youth choir or pilgrimages. The participant will complete a personal profile about their project that may contain photos and examples of work and must include a 300 word summary.